If somebody in the street promised you a small fortune tomorrow if you'd hand over your bank balance today, would you do it? Of course not. But every day, countless individuals are being duped like this over the internet. 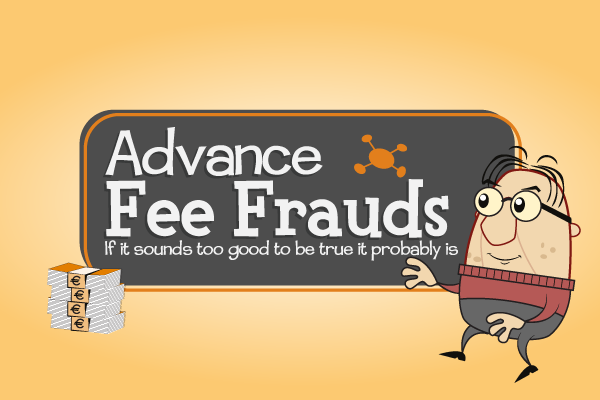 And it's because 'advance fee frauds' are getting more believable and harder to detect. Don't like the thought of letting internet con-artists get their hands on your hard-earned cash? Then buckle up and get 'street-smart' with our Advanced Fee Frauds Module. Your staff will learn how to recognise and avoid one of the oldest tricks in the book - Advanced Fee Frauds aim to extract cash from you up-front by promising a huge windfall later. So get started and learn how to keep hold of your cash right now.